The icy cocktails, passionate kisses, lip-smacking delicacies, dazzling firecrackers and the final countdown—New Year eve is the quintessence of exuberant commemorations. And because it unleashes such enthusiasm, this is the perfect time to roam in the glitzy city so you can glance off the energy. In short, New Year eve in London is all about fun, fireworks and festivities! Embrace the fresh beginning of 2016 with impressive fireworks in London. The sheer charisma of NYE fireworks will take your breath away. The shimmering crackers wraps up the whole skyline and the splendor gets doubled when the lights cover the famous Thames River. 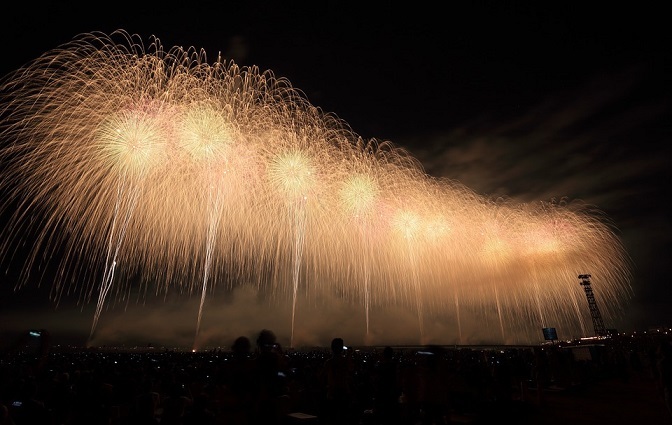 You need to buy a ticket to catch the beauty of official fireworks. However, if your pocket is not allowing you to do such then there are many prime locations that offer you the clear views of live action. The nearest stations to reach at the official venue are London Bridge, Waterloo, Barbican, and Monument. To enjoy the action at its best, you need to book your seat by 9 pm. No matter you are with the crowd or alone, this action beside Thames River is really a worth watching experience that can’t be expressed in few words. The New Year Eve celebration should be planned earlier as you won’t get tickets of your favorite venues at the last moments. Primrose Hill is an ideal destination for couples. This place offers you the fabulous views of NYE fireworks for free. Here you can enjoy an amiable atmosphere and don’t forget to bring your festive drinks with you. London is swarmed with bars and clubs hosting parties on New Year. Secretsundaze is a place to be for music-maniacs. People love this place as it offers a complete blend of clubbers with sparkly faces. Joey Anderson and Leon Vynehall will be the dazzling clubbers for day with a techno and house selection. XOYO, one of the amiable clubs in London is a perfect spot for a grand celebration. It proffers ravers the true feel of a storehouse with a warm atmosphere, along with incredible lasers and two powerful music systems for a memorable experience. Experience the best of both worlds this time! Soak your taste buds into a three, four or even five course meal and then wash that off with your favorite wine or beer. Along with this, top chefs of the city serve you best of their culinary delights. For some royal feel, get into Casino Royal and tuck into a deluxe meal. The bar offers you an exquisite array of wines, champagnes and beers as you embrace the fresh year with your loved ones. And the icing on the cake is that you can play roulette and VIP casino with poker. The above highlighted cozy places offer tempting drinks and mouth-watering food items to keep you warm in the frosty weather. No matter what your choice is, London has a lot of exciting things to satiate all age groups!